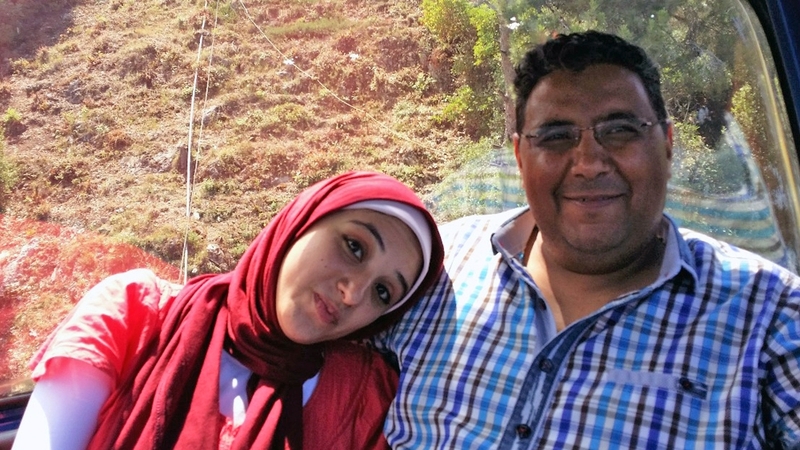 It has been described as “the worst time to be a journalist” in Egypt‘s history. As the year comes to an end, President Abdelfattah el-Sisi‘s government stands accused by rights groups of instilling fear through a series of draconian restrictions on the media. The US-based Committee to Protect Journalists (CPJ) dubs the country “one of the world’s biggest prisons for journalists”. With at least 20 journalists behind bars in relation to their work, Egypt is among the world’s top three jailers of journalists. Reporters Without Borders ranks Egypt 161st out of 180 countries in its press freedom index. 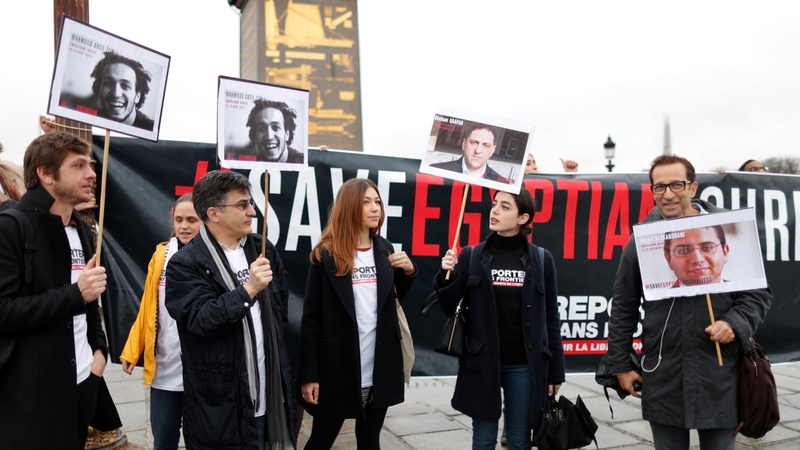 Egyptian journalists say operating amid a range of implicit and explicit restrictions has done irreparable damage to the profession, as well as curbed their ability to report on serious political and human rights issues across the country. “The government intent is to bring fear to the arena,” said Amr Khalifa, an Egyptian opinion columnist and political analyst based in the United States. The government intends “to let you know that there are more red lines than not and the entire dynamic is intentionally haphazard so as to keep particularly independent journalists guessing as to what may occur if they write about X, Y, or Z”, Khalifa told Al Jazeera. Of the journalists who are detained, more than half are in poor health, including photographer Mahmoud Abou Zeid. 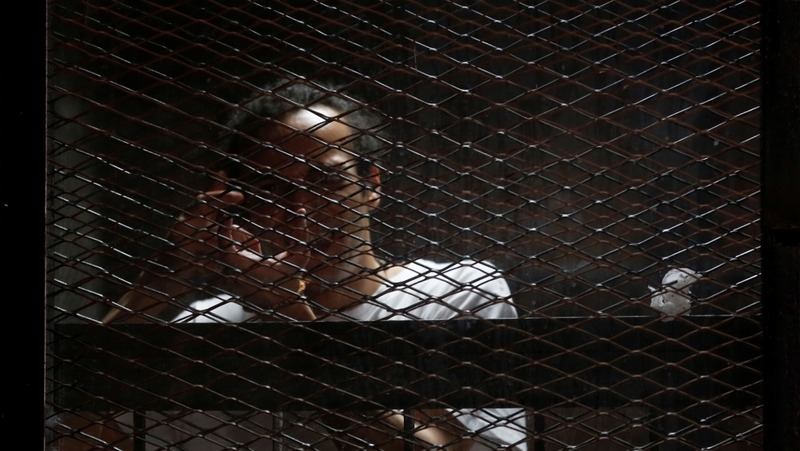 Also known as Shawkan, Abou Zeid suffers from anemia and needs blood transfusions, but has been denied hospital care in the four years he has been held in pretrial detention, CPJ reported. “This is the worst time to be a journalist in Egypt in the last few decades,” said Sherif Mansour, CPJ’s Middle East and North Africa programme director. Mansour said the Egyptian government engages in direct censorship by shutting down media outlets and television stations, arresting journalists and raiding media offices. But it also applies indirect pressure on reporters to tow the state’s official line on various issues, including most notably any topic considered to be a matter of national security. “Media has been the target of the government over the last four years. Many of the journalists have been systematically targeted with threats. Many of them fled outside of the country,” Mansour said. But journalists and media outlets have not enjoyed complete freedom in Egypt’s modern history. Columnist Khalifa, whose father was a journalist during the time of Egypt’s second president, Gamal Abdel Nasser, said reporters at that time operated under the assumption that “the walls have ears”, a reference to the prevalence of intelligence officers and other formal and informal surveillance networks. Later, in 1980, under then-President Anwar Sadat, Egypt passed a Press Authority Law which acknowledged the press as a “fourth estate”, according to a research paper by Fatima el Issawi at the London School of Economics. But the law tightened the government’s control over the press “by limiting media ownership to legal persons and parties”. In 1995, President Hosni Mubarak, who ruled Egypt for several decades before being deposed after the 2011 revolution, “passed Press Law No. 93, which limited press freedom and came to be popularly called the Press Assassination Law”, el Issawi wrote. A 1996 law then allowed for journalists to be imprisoned for a slew of reasons, including “intrusion into citizens’ private lives, attacking religious faith or government officials’ behaviour, or accepting donations from foreign bodies”, el Issawi explained. According to Khalifa, while restrictions were put in place under Mubarak, the former president knew how to give journalists enough room to breathe. “It wasn’t a full-court press by any stretch of the imagination,” he said. Today, the Sisi government actively instructs mainstream media outlets in Egypt what topics they should cover, and how, he said. Khalifa pointed to Daily News Egypt, an independent English-language newspaper, which he said has been “rendered defunct” after a government-run media outlet took over earlier this year. The newspaper’s former owner was removed after the government accused him of having ties to the outlawed Muslim Brotherhood. “It’s a bifocal approach. On the one hand, the goal is to maximise coverage for their message, which quite often is nothing short of propaganda, in my humble view. Conversely, the goal is to eliminate as many independent voices as possible,” Khalifa said. According to Radidja Nemar, a North Africa legal officer for human rights group Alkarama, the Egyptian government has “targeted either news outlets or human rights organisations who would be covering human rights violations in the country”. But journalists in particular can be silenced under a 2016 law that makes it a crime to spread false news, Nemar told Al Jazeera. Often, this law is used against journalists “covering what the government would consider [hurts] the image of the state”. That’s what Al Jazeera Arabic news producer Mahmoud Husseinwas accused of last year, when he was detained on December 20 on accusations of “incitement against state institutions and broadcasting false news with the aim of spreading chaos”. Al Jazeera has denied the charges against him and demanded Hussein’s immediate and unconditional release. An Egyptian national based in Qatar, Hussein is in poor health. He was denied access to medicine and treatment for a broken arm. Wednesday marks the one-year anniversary of Hussein’s arrest. A 2015 law broadened the scope of what is considered a “terrorist crime” and criminalised reporting on terrorism and terrorist acts in Egypt that go against reports by the Egyptian Ministry of Defense, CPJ reported, citing various news sources. “The law defines ‘terrorist crimes’ as any act aiming to harm public order, social peace, or national unity,” the group said. In May, Egypt blocked access to nearly two dozen news websites, including Al Jazeera, the Huffington Post’s Arabic version and independent news outlet Mada Masr. Sources told Reuters news agency the websites were blocked because they had alleged ties to the Muslim Brotherhood or were funded by Qatar. “Such action is an act of censorship and infringement on the freedom of expression and information,” a coalition of human rights group said in a letter condemning the government’s decision. According to Nemar, while journalists covering state repression, politics or human rights abuses since the military’s takeover in 2013 have been prosecuted and imprisoned, “there is no clear line” that journalists cannot cross, which highlights “the whole arbitrary [nature] of the process”. “We don’t know the rationale [behind] every arrest or every judicial decision or sentence,” she said. Additionally, Egypt has been accused of limiting journalists’ access to the northern Sinai province, where the government has launched a campaign of “brute force” to root out armed extremist groups. Is Egypt’s security approach failing in Sinai? Egyptian and foreign journalists have been barred from accessing the area, limiting their ability to report on the government’s campaign. Human rights groups and local activists have accused the state of carrying out human rights violations in the area and cracking down on civilians. Sinai is “the most censored news story and geographic location in Egypt and maybe worldwide”, said Mansour, explaining that journalists who have tried to report on the government’s war or civilian casualties in the area have also been targeted. On November 24, at least 305 people were killed in a deadly bombing at a mosque in the Sinai town of Bir al-Abed. The attack has been described as the deadliest in Egypt’s modern history. But with the restrictions in place, reporting from the area remained difficult. On Twitter, an Egyptian ministry of foreign affairs spokesman criticised US news network CNN for its “deplorable” coverage of the mosque attack, saying its focus on reporters’ access to the area was disproportionate. Access restrictions and anti-terrorism laws that limit who can report on topics of national security, which is how the government designates what is happening in Sinai, have made it “impossible for any independent or critical coverage of the government’s behaviour in Sinai”, Mansour said. According to Nemar, torture and other mistreatment of human rights workers, including journalists, have been reported for years, including under the Mubarak administration. She added that the rights of all Egyptians are at stake in the country’s fight for media freedom.